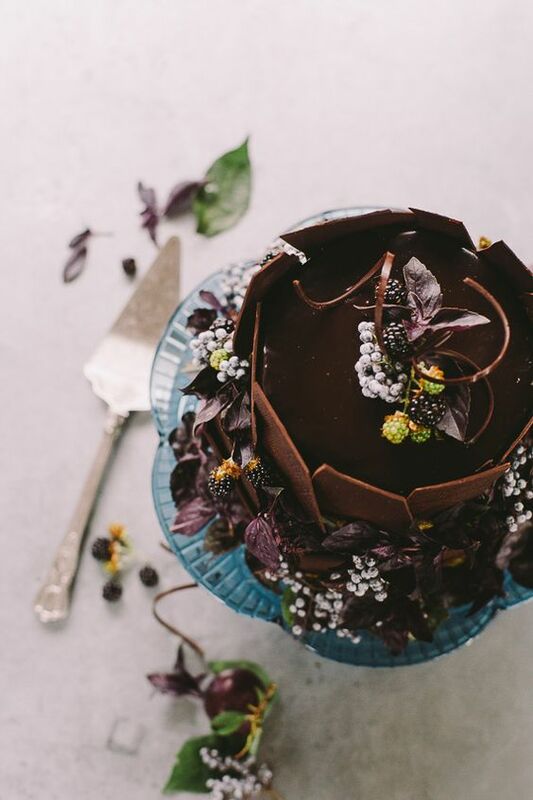 There are many important things to consider when it comes to planning a wedding, but finding the perfect wedding cake is one of the most important things to think about. 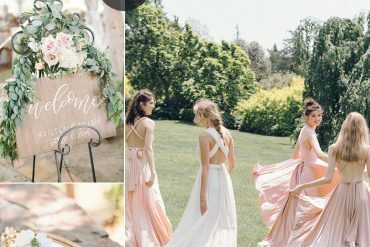 The wedding cake, along with the wedding dress, is one of the major stars of the show…. 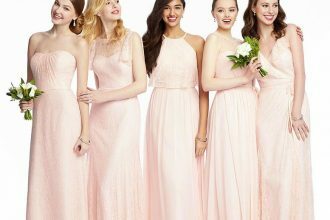 These days, the cake is one the key focal points of a wedding. 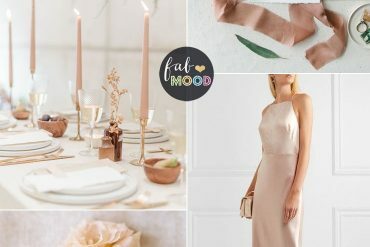 In fact, many a bride has been known to design her entire wedding scheme around the look of her dream cake. 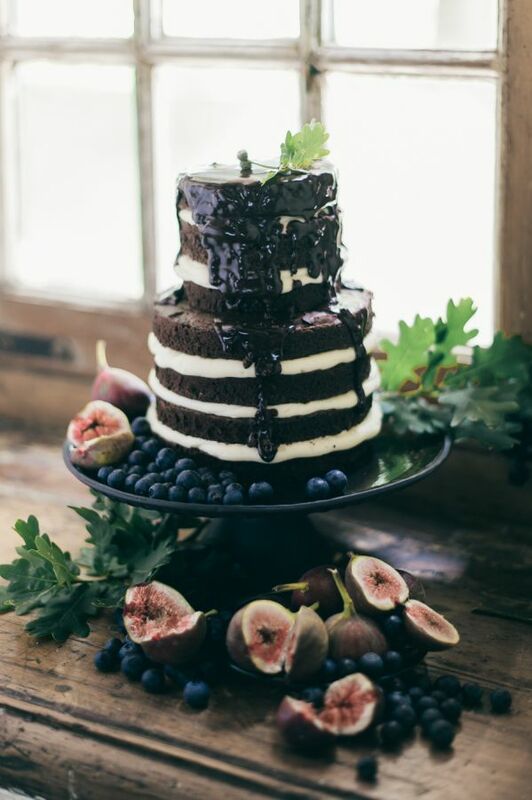 As the fall season is fast approaching and that means it’s time for hunting the perfect wedding cake for fall wedding. 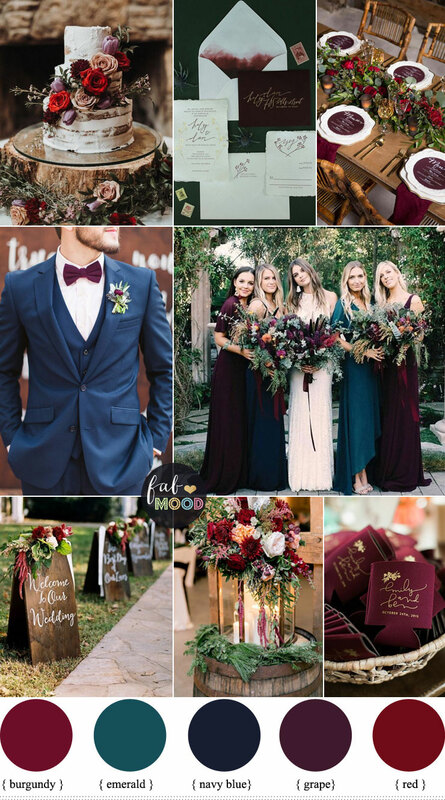 Fall weddings are all about enjoying the warmth and richness of the season. When food should be light and refreshing, in the autumn, you can indulge in richer flavors. 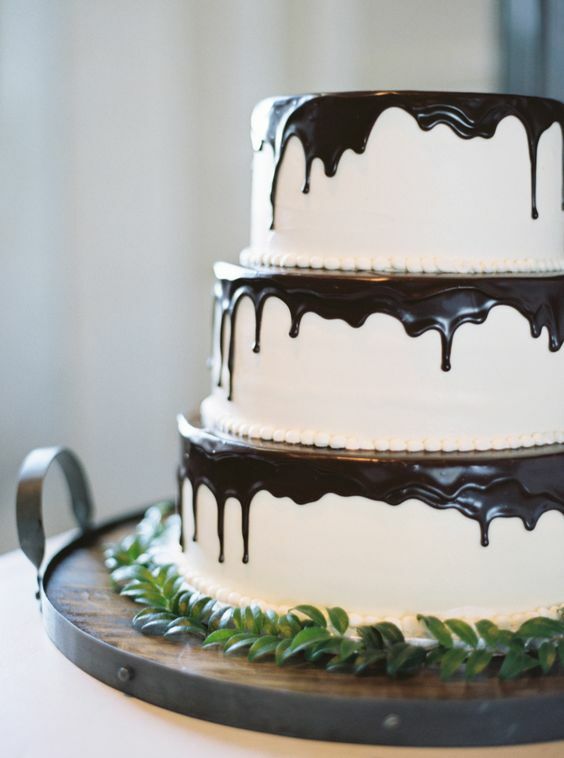 And when it comes to a rich wedding cake, this can only mean one thing: chocolate! Um sound delicious right? Come in! 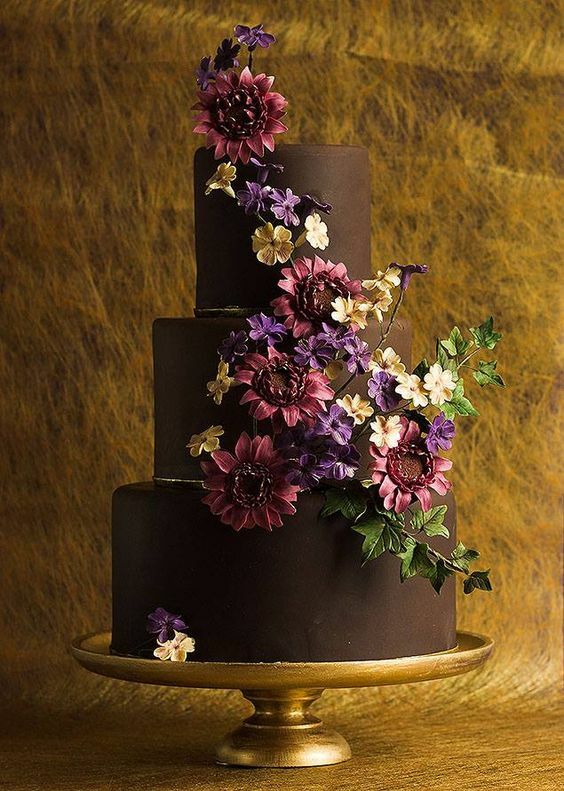 Let’s see what chocolate wedding cakes for fall weddings we have here. 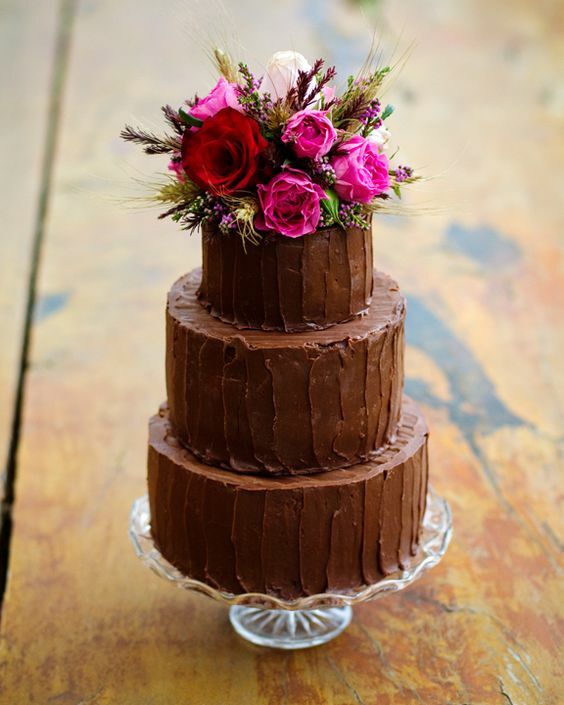 The warm colour of chocolate icing on naked chocolate wedding cake is a perfect match for the colours of the season. A very chic and stylish colour combination is teal blue with espresso brown. 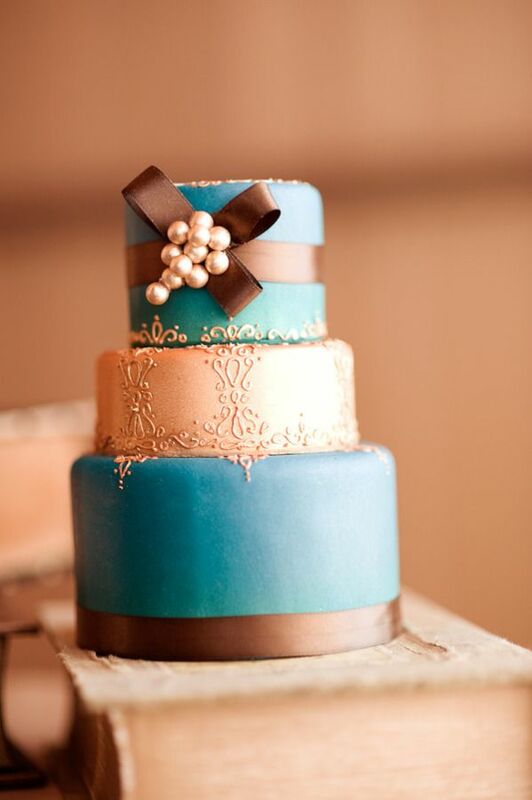 This colour combination would look fantastic with a crisp design created in fondant. 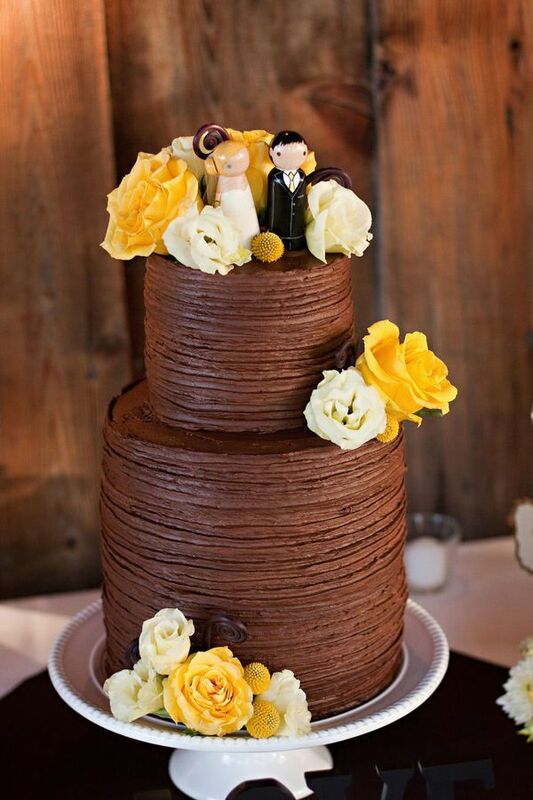 We love this pretty and simple chocolate wedding cake with cream and yellow mustard roses. 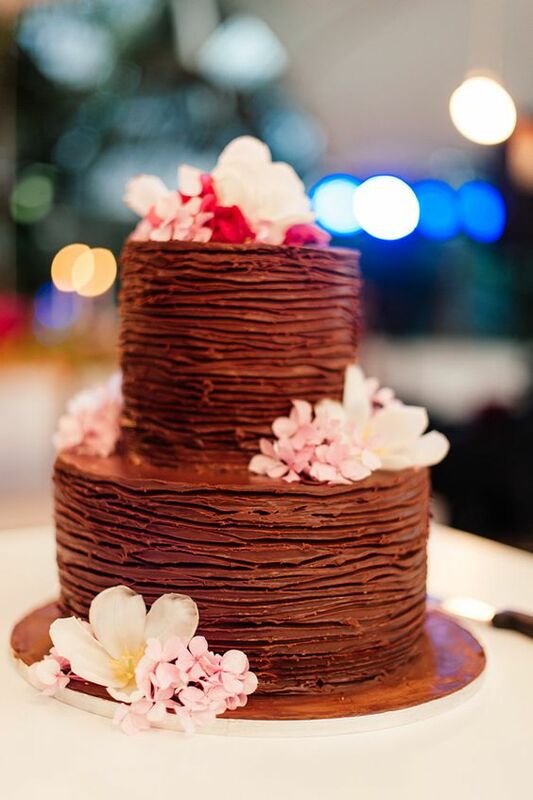 Another way to stay with traditional wedding cake is to hide the chocolate cake under white or pastel frosting and topped it chocolate icing is a perfect match for the colours of the season. 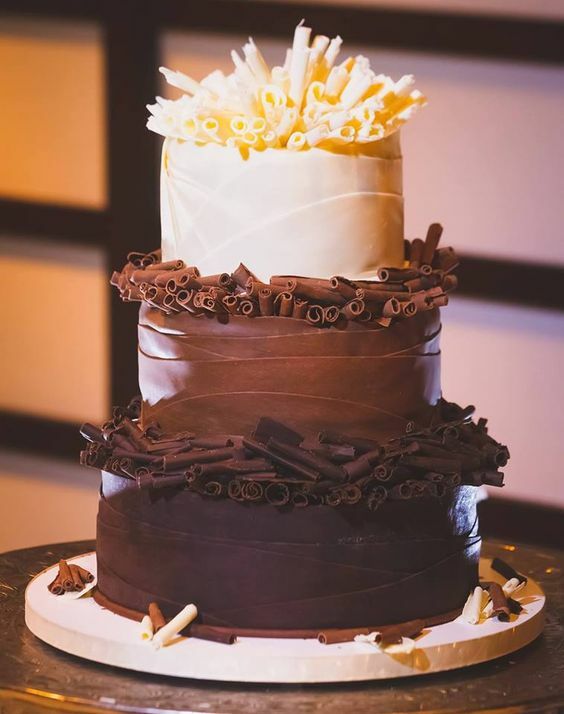 Three Tiered Chocolate drizzled white wedding cake. 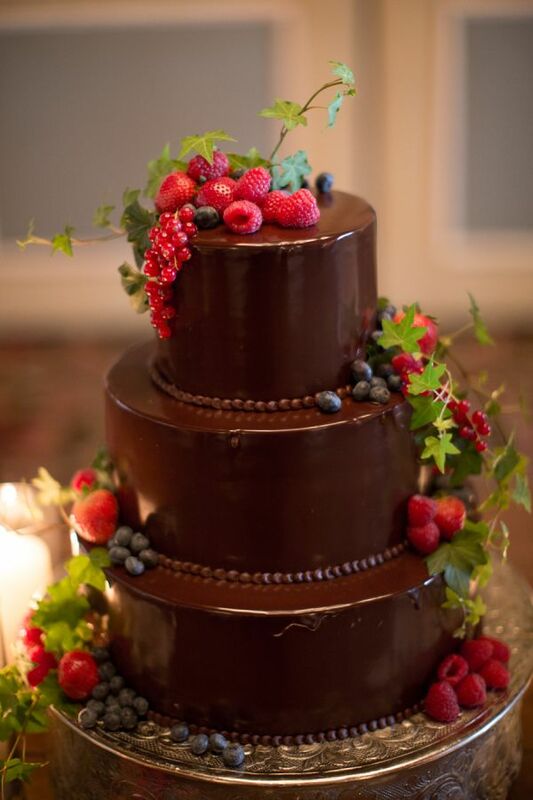 The delicious pairing of summer fresh berry, raspberries and dark chocolate are combined in this lovely tiered wedding cake. 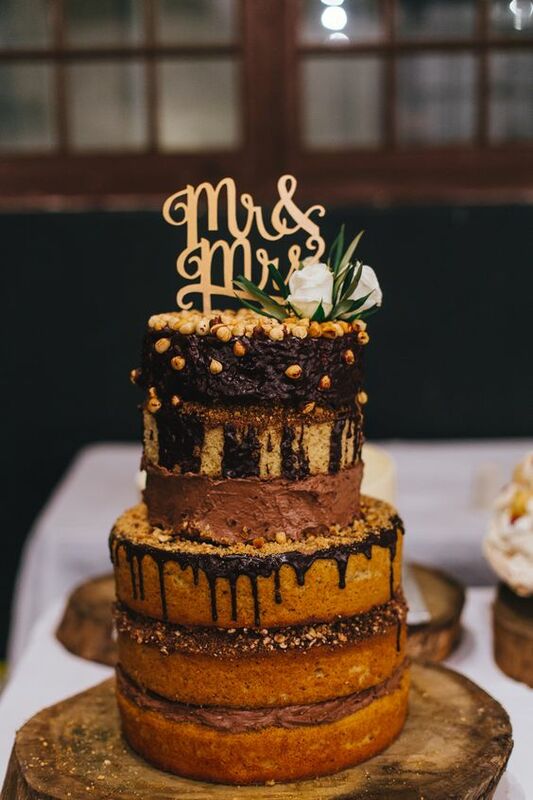 For the modern bride, a square wedding cake + chocolate and gold would be sure to please. If your wedding takes place right on Halloween, you are probably looking for some peculiar. 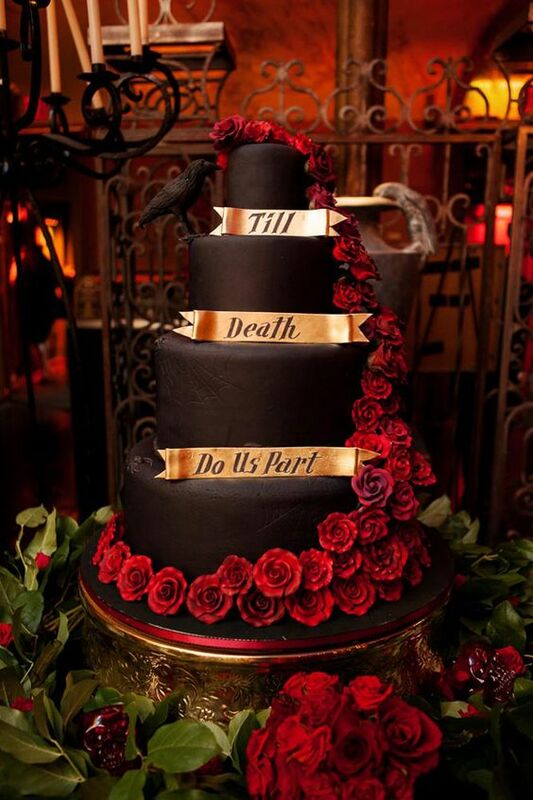 This is an elegant wedding cake with red roses + an inscription ‘Till Death do us part’ and sure to surprise the guests. 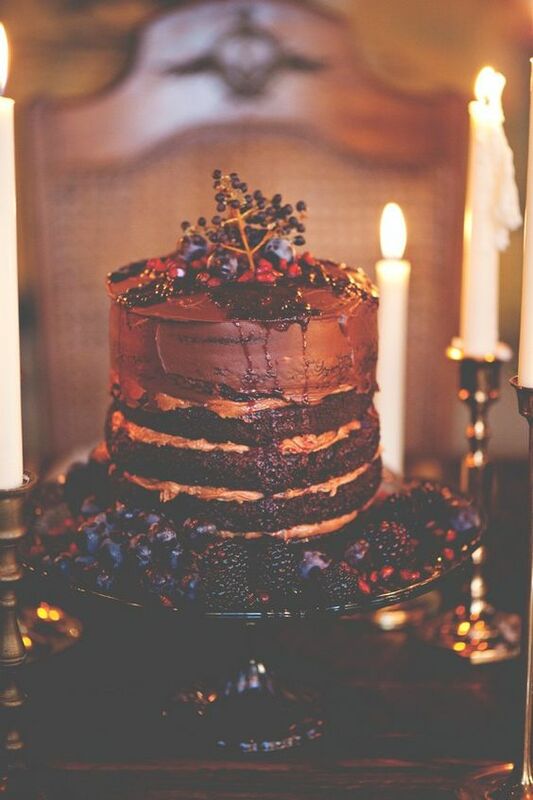 Another tasty idea is to layer a naked chocolate cake with mocha filling and topped it with berries and also serve it with berries. Nuts add crunch to a cake. Turn that chocolate mousse cake into a German chocolate cake by combining walnuts and coconut with vanilla frosting. Or Macadamia nuts chocolate chips are another alternative. 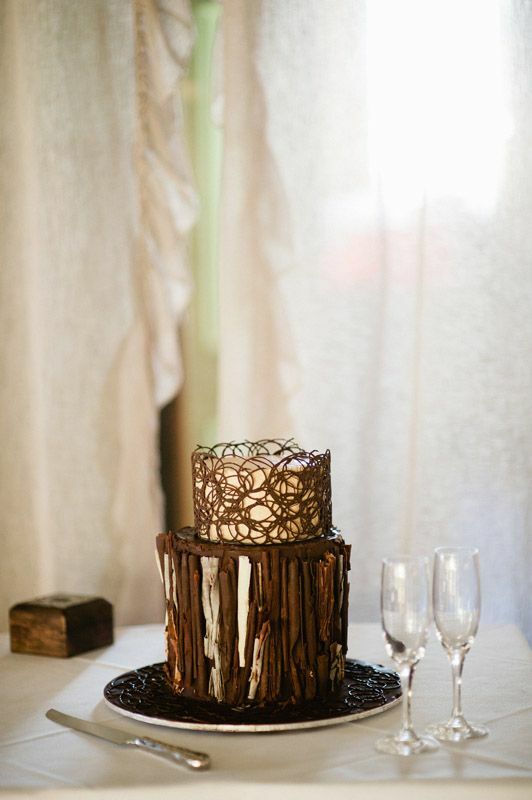 Fall weddings often have a rustic look, and you can very easily bring that into your wedding cake. 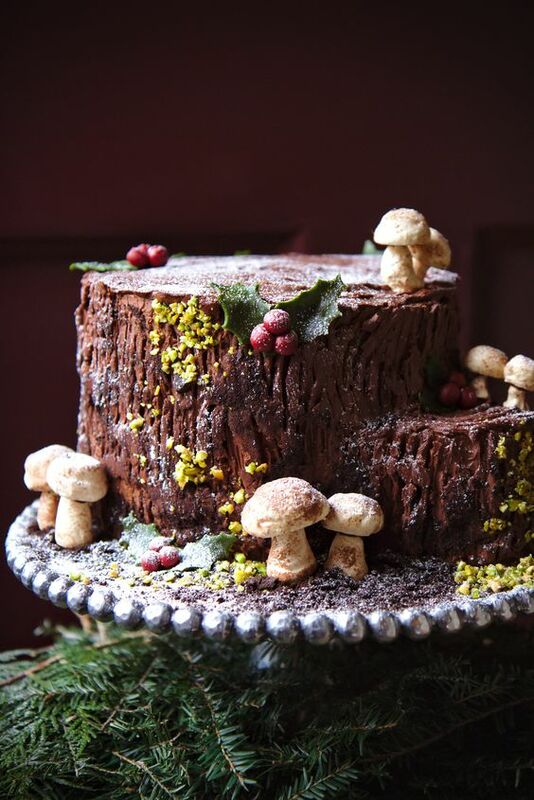 Chocolate frosting with a rougher bark-like texture makes the perfect backdrop for tiny little fall mushrooms. These can either be real, or created from marzipan or gum paste. The tiny little sugar mushrooms are truly works of art. 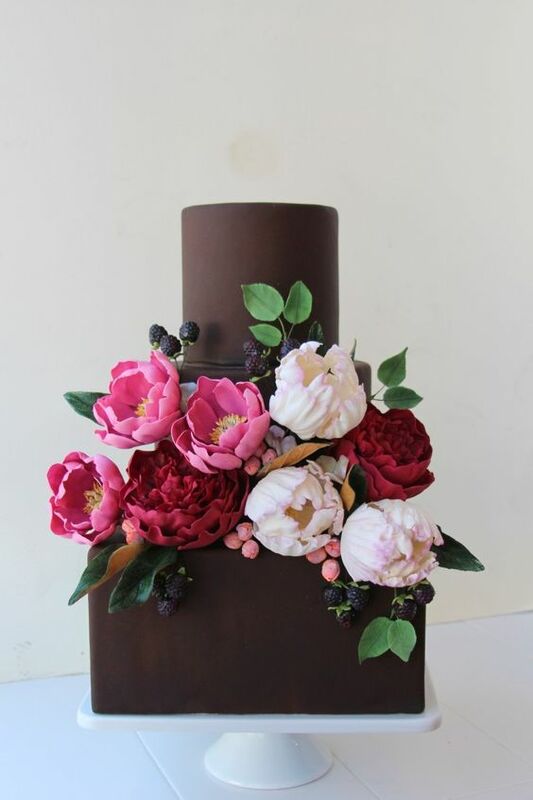 This lovely tiered chocolate wedding cake accents with flowers perfect for vintage style wedding. 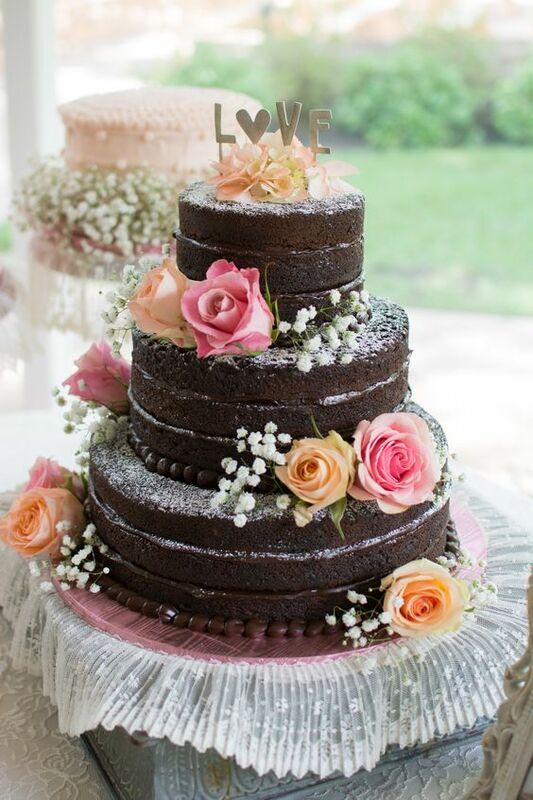 Chocolate wedding cakes are equally elegant and sophisticated. 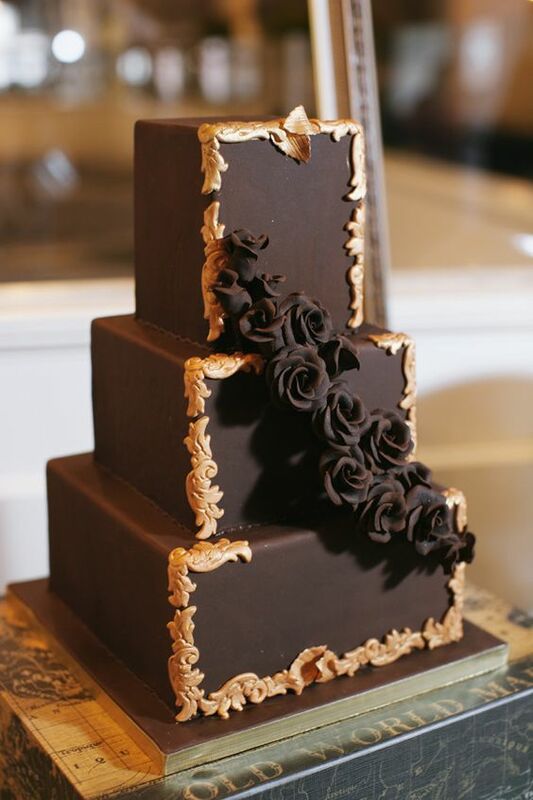 When you combine white and dark chocolate together it become the perfect balance for the beauty of your wedding cake. The wedding cake has to fit the couples theme, style and personality. If you like to stand out and probably want your cake to be remembered by your guests, then this is the way to go. 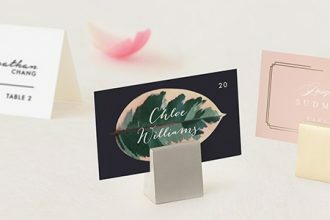 Multiple shapes such as squares combined with round tiers are very trendy at the moment. 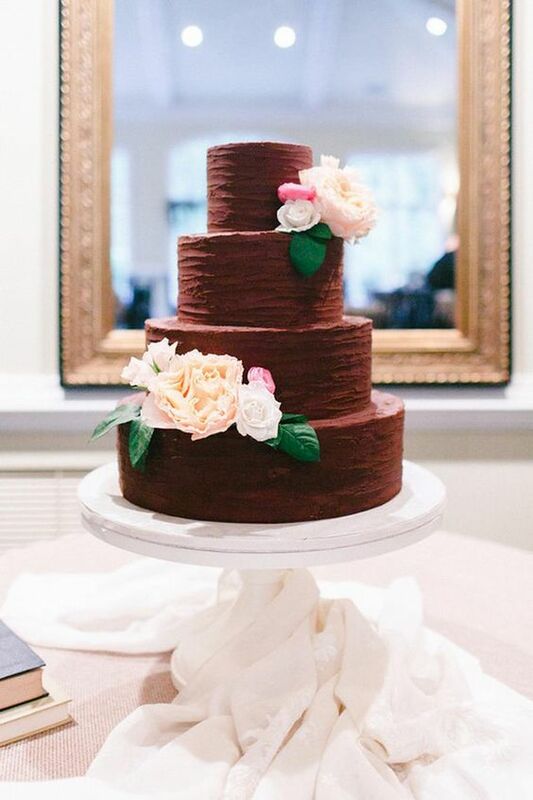 The best part about having a chocolate cake for your fall wedding is that it will be as delicious as it is good looking. 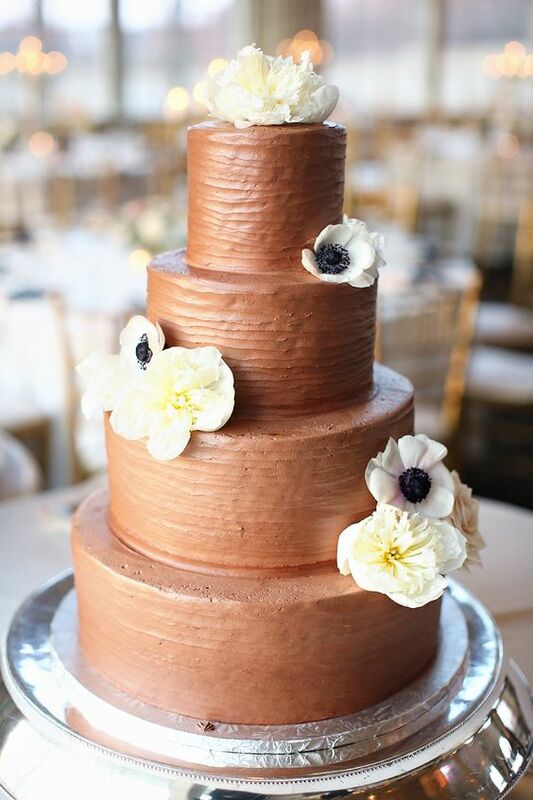 Imagine how happy your guests will be when they walk into the reception and spy the tasty chocolate wedding cake. And just think about how happy you will be when you get to share that first piece of yummy cake as husband and wife! 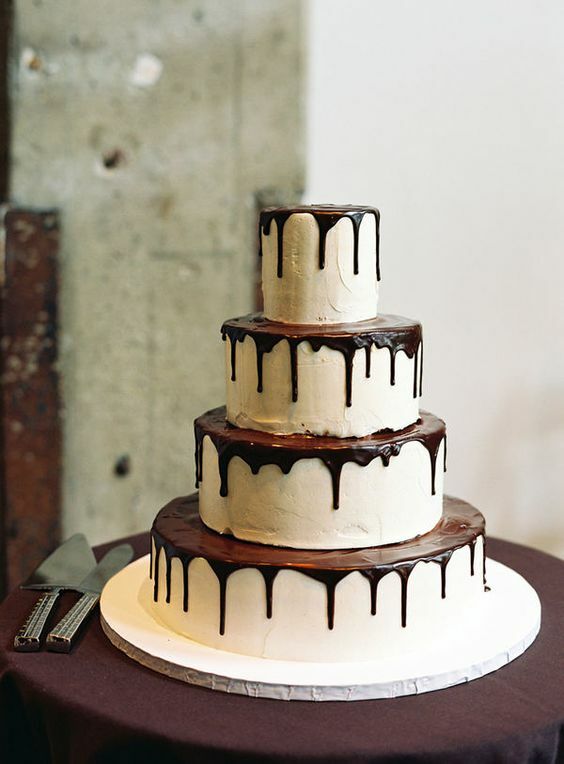 Which of these chocolates wedding cakes is your favorite? Let us know below!